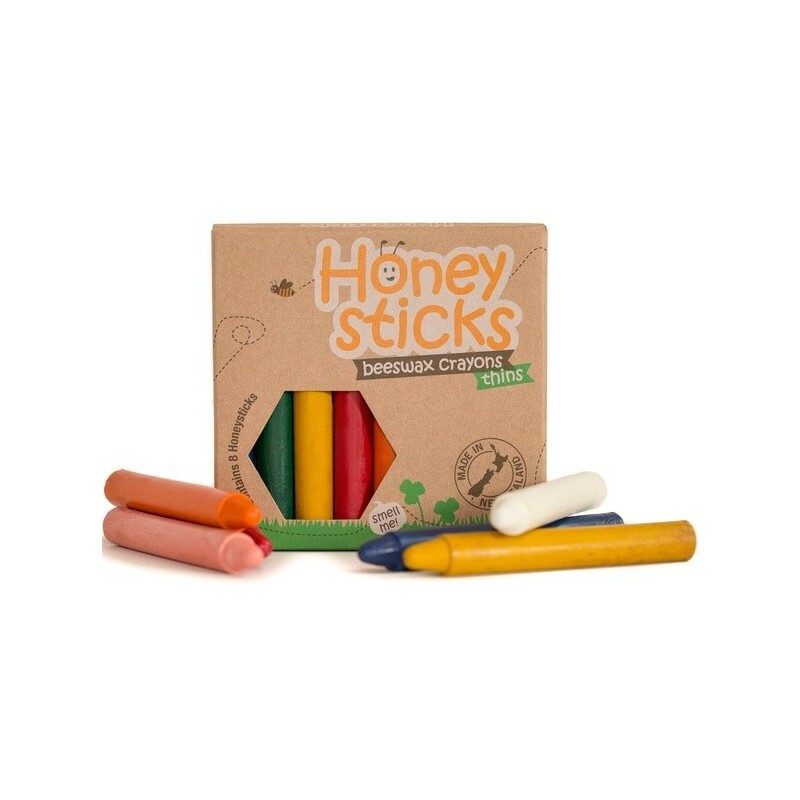 Honeysticks Crayons are handmade from 100% pure New Zealand beeswax and contain no paraffins or toxic ingredients. 6 thin crayons. 110grams. Handmade in New Zealand from 100% pure New Zealand beeswax - contains no paraffin wax or cheap fillers. Ergonomic shape -thinner crayons are ideal for older children's grasp development. 6 colours: white, red, blue, green, yellow and black. Crayons: 10cm long x 1.2cm thick. Box: 10.5cm x 10cm x 1cm. 110 grams. 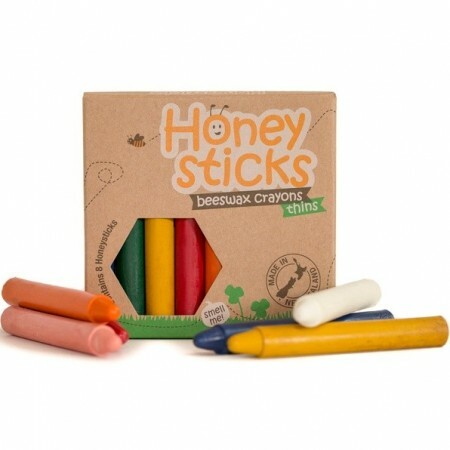 Non-toxic crayons made from natural materials with 0 plastic packaging. Great for little hands and imaginations.